In Clarkston - JMA Ministries Inc.
Our ministries in Clarkston refugee community, Georgia is designed as Burmese House Church Network. We believe that there are over 226,000 refugees from Burma in States as of 2016. Most of them are Buddhist, Muslim and Animist. 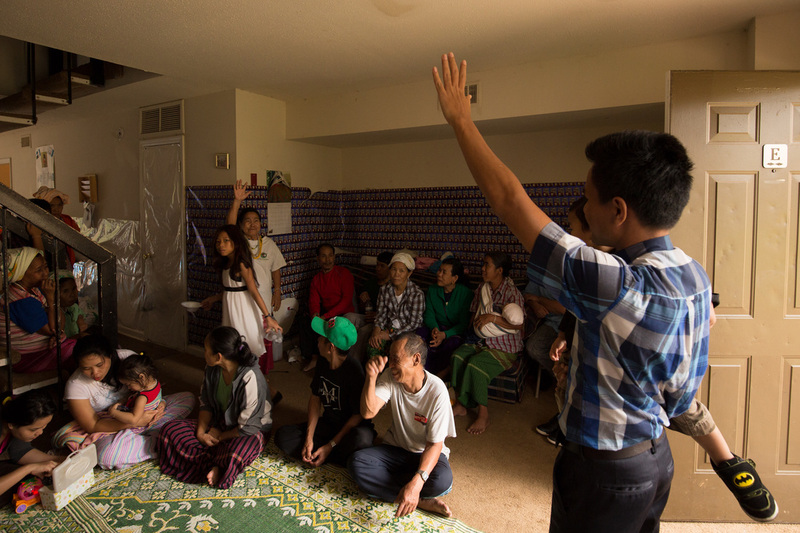 We are focusing to start home groups in apartments in different community of Burmese people in Clarkston Area and in States. We beliefs that by making disciple in a smaller groups at houses, the Gospel explore and multiply disciple-makers rapidly. The nations are here and the workers are few, joins us for this great cause for His Kingdom. There are thousand of refugee children from different countries in the United States. Our mission is to guide these young children using the word of God so they may have Christ-like character. Along with the evangelism, we also teach the children in After-School Programs in different apartments with the help and partnership of faithful men and women. Not only teaching to the children, we also evangelize their parents. We visit their apartment homes and have in-home services at different apartment locations in Clarkston, Georgia. Our purpose is to bring the Gospel of Jesus Christ to those who have never been exposed to the Gospel. Our vision is to address their spiritual, physical, educational, and emotional needs. 1. Job Search - we help refugees to get jobs. 2. Furniture Distribution - we distribute furniture to refugees - to the newly arrived and the needy. 3. Clothes Distribution - We distribute jackets, pants, shirt and different kinds of clothes to our refugee community. 4. Rice and Oil Distribution - We distribute to our refugee community, who need rice to cook which is their common foods and oil to fry their curry. 5. English Class - People from different countries struggle to speak English in our refugee community. We provide English learning classes. 6. After School Program - Parents that don't understand English themselves struggle with assisting their children with home work so we assist them in our after-school programs. 7. Kids Club - Our Kids club is design for the children to learn about God, share their story and Jesus's story to others as we gather weekly in the apartment complexes. 8. Home Group Discipleship - We have house church service for sharing the Gospel and discipleship every week in different apartment locations. 9. Evangelism - Every week, we visit house-to-house preaching the Gospel to the Buddhists, Muslims, Hindus and to those who still practice animism. 10. Interpretation - It is difficult for them to read the mail and many of them are stressed by the letters they get. We help them translate and interpret it to their understanding. 11. Filing - We help refugee to file applications for Food Stamp, Medicate, SSI and many more. Please consider to help make a change in their lives by DONATING here!